If you’re looking for a small hatchback that can seat five or store your bike for a San Diego ride, you’ll want to check out the MINI Hardtop 2 Door. Luckily, at MINI of Escondido, we’ve got 25 of these hot hatch cars in stock. We even have the sought-after MINI Cooper 2 Door Hardtop for sale. Take your pick between a pair of TwinPower Turbo precision engines, and enjoy access to luxurious features like premium leather upholstery, Connected Navigation Plus with Apple Carplay™, heated seats, and a panoramic sunroof. Safety features include Forward Collision Warning and Automatic Emergency Braking. Choose your favorite MINI Cooper 2 Door Hardtop for sale below. Or, if you’re looking for a better deal, explore our new vehicle special offers. When you’re ready, schedule a test drive today! We’re located in Escondido’s industrious Auto Park. 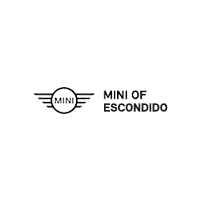 Why Buy from MINI of Escondido? The new MINI Hardtop 2 Door is on sale now at your certified MINI dealer near Carlsbad. Feel secure as you traverse the San Diego roads, knowing that you are driving in a 2018 IIHS Top Safety pick. When you shop at our dealership, you’ll find a huge selection of new and pre-owned MINI cars for sale, as well as a team of committed professionals who will offer affordable financing and top-notch MINI maintenance and repairs. Plus, we’re knowledgeable on all things MINI – you’ll learn as much by following our blog! Ready to lease or finance one of our 25 MINI Hardtop 2 Door cars? Contact us today – we’ll get you situated.